The incentive management solution it.smart incentives enables companies to boost efficiency and maintain a clear overview of all programs. Rental businesses must provide timely and reliable rental services to customers in the digital age. it.hire&rental helps enterprises achieve this. Industry Solutions Principal, WSD, itelligence Inc.
Stefan Hoffmann is an Industry Solutions Principal for itelligence North America focused on the Wholesale Distribution Industry. In this role he specializes in helping wholesale distributors with enterprise resource planning, digital technology and process transformation. Hoffmann has more than 25 years of experience in wholesale distribution, and is responsible for the development and accreditation of itelligence wholesale distribution industry solutions. Prior to his position as Industry Solutions Principal, Hoffmann served as Project Manager, Business Solutions Architect and Logistics consultant for itelligence from 2000-2005. During this time, he implemented SAP solutions for companies such as SCM Microtech Inc. US, Pinnacle Inc. US, Hillyard Inc., C&H Sugar Company, and Lastar Inc. 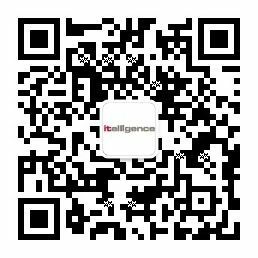 Prior to joining itelligence, Hoffmann was Project Manager and SAP Consultant for a German consulting company, where he was involved in the configuration and implementation of various SAP systems for wholesale distributors.